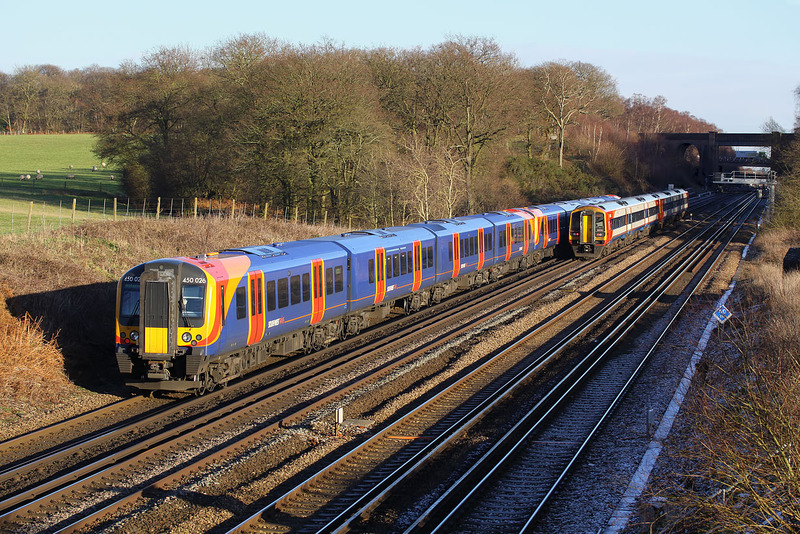 Electric meets diesel at Potbridge on 2 January 2010. 450026 brings up the rear of the 2L46 13:54 Basingstoke to Waterloo South West Trains service, with 450078 leading. Rapidly overtaking it, and disappearing into the distance is the same company's 1L44 11:26 Exeter St Davids to Waterloo service, worked by 159106 & 159006.